Q. 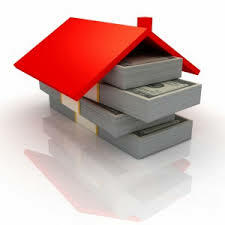 As a Realtor should I spend money from my personal savings on marketing? It seems like the smart thing to do is to spend a portion of my sales on marketing. A. We have a very strongly held point of view that marketing is an investment and like any other investment, it must provide a return that exceeds the cost. In theory, you should continue to spend additional money on marketing as long as the incremental expenditure is yielding an acceptable rate of return. In practice, it’s a bit more complicated than that, but it is important to bear in mind that marketing spend is not an objective in and of itself. It is a means to an end and the end is revenue generation. If your marketing isn’t generating enough revenue to make it a good investment, reconsider your choices. Your question was whether you should take money from savings to invest in marketing. To be sure, in the long run, the answer to this question is an unequivocal “No!” Eventually, revenue must exceed all of your costs (including marketing expenses and your own compensation). Otherwise, you don’t have a sustainable business. Yes, in the long run allocating a percentage of your revenue to marketing expense makes complete sense. That notwithstanding, in the short term, you may need to prime the pump. When you are starting out, your expenses (including your marketing expense) may exceed revenue for a period of time. The deficit has to be covered from somewhere. Savings will most often fund the short fall. You make an investment in the short term that you expect to deliver a sizable return in the long run. In building our own business, we took money out of savings for several years before revenue rose to the point that we could not only pay ourselves, but also put money back into savings. Our business is consulting and angel investing, not real estate, but the principle is the same. Sometimes, to get things moving, you have to take a calculated risk. Once you have decided to take a calculated risk and invest your savings in your business, the question becomes how can you mitigate the risk as much as possible and maximize your probability of success? We suggest following these tips. o	Why should a prospective client hire me as their realtor rather than a competitor? Know what makes you different. Perhaps it is just that you are easy to find when people need a realtor. Perhaps you have a special skill set or detailed knowledge of a particular part of town. But, if you can’t answer this question clearly and concisely, your prospective clients won’t be able to answer it either and they won’t hire you. o	Is there a segment of the market that values the thing that makes you different and is that segment large enough to support your business? Being different isn’t enough. You may have green hair. That would make you different. You might well be the only green haired realtor in town. Unfortunately, it isn’t clear that there is a large enough segment of the market that would be attracted to a green haired realtor to allow your business to succeed. o	How will you reach the segment you have targeted with your marketing message? In other words, what channel will work best for you? •	You will need to make sure that you are doing enough marketing to reach critical mass. Research shows that you have to touch a prospective client an average of seven times with outbound marketing to elicit a response from someone who looking for a realtor. It is unlikely that a single add will accomplish this. Doing too little marketing can be a complete waste of your money. •	When you are first starting out, our suggestion is to do things that have worked for others. Blazing new trails may allow you to hit a home run. Unfortunately, it also significantly increases the probability of striking out. There may well be a good reason others haven’t used that trail. Pursue quick wins using proven techniques. Stick with the tried and true until you achieve some success. Then, use a portion of your marketing spend to swing for the fences if you would like. Starting most businesses will require you to take calculated risks in the area of marketing. Following the tips above will help you mitigate the risk and increase the probability of success.